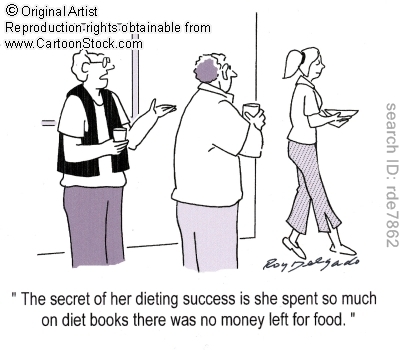 Don’t waste your money on diet books. Go buy some grass-fed beef! So yesterday I went to Barnes and Noble to get a Paleo/Primal diet book for one of my clients to read. After seeing the Crossfit games, and my long lectures, she finally decided to give the whole “caveman eating thing” a shot. But when I got to the store I was overwhelmed by a whole lot of crap. All of the “advertised” books were fad, low-fat diets! The book that I wanted, that they CLAIMED to have in stock was nowhere to be found. I was overwhelmed by all of the conventional wisdom/fad diets lining the shelves. I had the desire to run through the diet aisles knocking every book off the shelves and then sprint out of the store. Or I wanted to grab an armful of the stupid books and throw them in the trash. Either one would have felt really satisfying. Of course I probably would have gotten arrested or something, but still….It would have felt good! I didn’t do it though. Instead I managed to focus enough to find one of the HEALTHY DIET books I was looking for. With that huge load of diet crap out there though, no wonder Americans are confused about what the right diet is! Actually it is almost kind of depressing that we turn to brightly colored books with neon words stating “Lose 15 lbs in 2 day!” instead of just eating the foods that come naturally from the earth! I mean honestly it is simple. Just do an experiment. Eat all the crap they recommend for 30 days and then go eat all of the natural foods that I recommend for 30 days. Which makes you feel better? Which do you think you can maintain for longer than the 30 days? I think I know the answer…. Actually I’ve lived the answer. Heck I used to buy diet books and read every article in all of the women’s health magazines looking for some secret new trick. Anyway, don’t take my word for it. Try an experiment yourself. You’ll see. While I complain about all of the crap diet books there were lining the shelves, there definitely were more Paleo/Primal/Caveman books out there than ever before. I could make a very cynical comment about how there are now books being published about this healthy diet because there is now a market to make money off of….but I’ll keep my mouth shut. What is next though? A Caveman Lifestyles magazine? Or maybe even a Caveman Vogue? Hey I’m not saying I don’t get it. But I just think everyone needs to realize that everyone out there who is pushing something has an agenda. 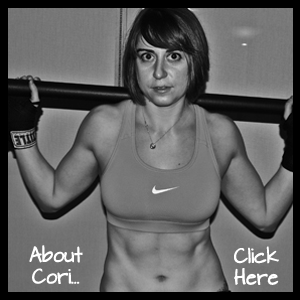 I obviously want you to believe that eating my way and lifting heavy weights is the BEST way. Posted on June 2, 2012, in Conventional Wisdom - How I hate you, Diet, Uhm? and tagged barnes and noble, Caveman Diet, diet, diet books, fad diets, healthy-living, neon words, Paleo, Primal. Bookmark the permalink. 3 Comments. I agree wholeheartedly – almost everything you say I have either said, thought or written!! There is a Paleo magazine out! http://www.paleomagonline.com/ I actually found it at my local “natural harvest” type grocery store.